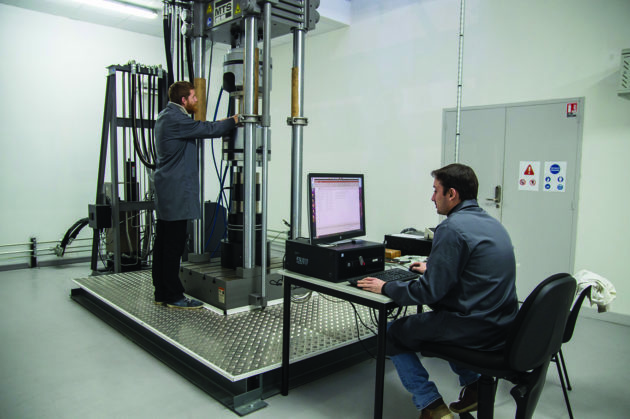 "Recoll, the discreet reference of composites"
Since Rochefort, without noise, the company Recoll, specialising in the research and development of new materials, has imposed itself on the national level. The Directorate General of Civil Aviation (DGAC) has certified the test benches of Recoll and Airbus has qualified it for the validation of spare parts. The Stelia Aerospace Group is testing its fuselage and front-edge parts for the A350. Safran also uses his services. Of the coup 60% of the activity of Recoll relates to aeronautics. We specialize in the mechanical aspects of materials, whether metal, polymer, composite or plastic: physical resistance to pressure, stretching, cold, warm… We test everything, explains Nicolas Vetel, director of the Rochefortis de Recoll site, the mother house located in Pessac, near Bordeaux. Recoll is a leading company that merged with the regional Centre for innovation and technology transfer specialized in materials (Critt materials) in 2016. Nicolas Vetel was the director of Critt. He is now the head of the Recoll de Rochefort site. But the research activity is the same. As a result of its collaborations with aeronautics — the wing of the E-Fan y electric-powered aircraft was designed, as well as the Rochelais Elixir aircraft manufacturer of recreational aircraft — not to mention boating and motoring, the SME is Become a specialist in composite, whether it is based on fiberglass or carbon or even flax. To the point of being able to recycle it.